Vargas v Brook at 154? 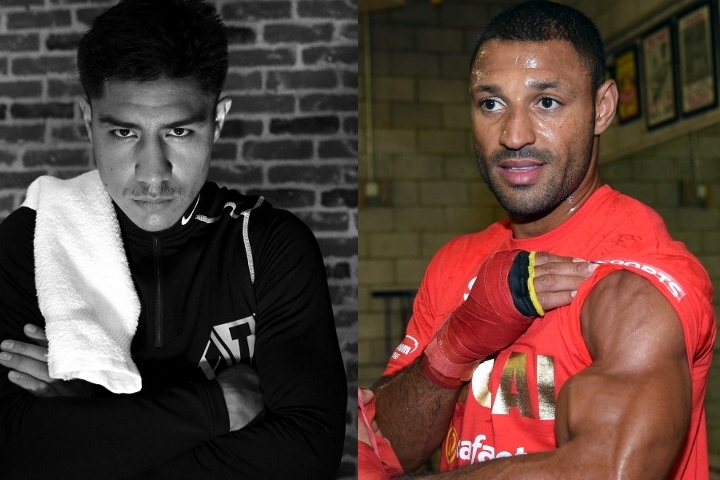 Thread: Vargas v Brook at 154? Both Brook and Vargas have a working relationship with Eddie Hearn of Matchroom Sport. After being unable to secure the right fights at welterweight, Vargas is more than ready to face the bigger names at 154-pounds. He hopes to eventually get a crack at WBO junior middleweight champion Jaime Munguia. "I am very happy to be working with Freddie, he is a very experienced and intelligent coach to design fight strategies, and right now I have no confirmed fight, but I am waiting for the fight with Brook, it is a fight that interests me, they are doing everything possible to confirm the fight and let's see if he accepts," said Vargas to ESPN Deportes. "I think we are very advanced, and if everything goes well, maybe the next week the fight could be confirmed. For my part, I already accepted the fight, I said that it should be done, but I think he is having doubts, and if he says no, then I'm hoping for an opportunity with Munguía, it's a fight that interests me a lot. I think the fans would like it and their team said yes, but maybe for September, so for now we just wait for Brook." Vargas (28-2-2, 10 KOs), 29, is coming back from two draws in 2018 with Adrien Broner and Thomas Dulorme, while Brook, who was left waiting for the possible fight with Amir Khan, is 32 years old and has a record of 38-2 with 26 knockouts, plus a two-fight winning streak in 2018. Re: Vargas v Brook at 154? Probably as good a fight as brook is going to get. He’ll Have an underwhelming career, should have mixed it at world level a few extra times, was no reason not to. Vargas gets that respect but he needs to slow his roll. Brook is more style realistic and relevant at 147 than jumping the shark for a Munguia who's massive and better and more damaging at what Vargas does than Vargas is. Weird how Vargas is basically running level if not better when it comes to viable options . Porter vs. Brook- Brook's testing time! So Whats Going On With Vargas?